4:00am: Rohingya houses in Bahar Para village's Alay-Kyuan Muslim ward were attacked by Rakhines. 12 Rohingya houses, 50 heystacks and 30 huts were burnt down. Evening: A Rohingya mother from Fishing village(Zai-la fara) who went to bazaar was brutally beaten by a group of Rakhines. 22:00pm: Mv Shafuddin and 3 other Rohingya villagers were brutally beaten by Rakhines in Nidag Fara Ogong Ward. Huts and haystacks in farming lands were burnt down. Mv Sahfuddin was died one day after and no hope for the 3 others too as a result of they can't access for medication. 17:30pm: 17 Rakhines who worn muslim religious dresses and leaving after attacking of Rohingya villge Khondol, were arrested by military. 16 June, Saturday20:00pm: 83 of 86 Rohingya houses in San-ga-daung village were burnt down and 6 Rohingya villagers dead in the attacks by Rakhine people. 49 other children who were taken by Rakhines were missing. The dead bodies were not allowed to bury and Rakhines are continued to attack them so the rest of the villagers escaped into jungle. A group of 25 Rakhines who are wearing muslim religious dresses and setting fire at Rohingya houses were arrested by military. 20:30: The Rohingya villagers from Falom-fara were leaved from their houses in good time and escaped into jungle. They reported before they leaved from the village. 13:30pm: Hundred of Rohingya houses in Nai-raung and Bar-fara were burning by Rakhines with collaboration of Paramilitary forces. Some Rohingya villagers approached at military but military forces who are escorting there said that they have not been given order to shot Rakhines even they attacks. The dead number is not yet informed. 12:00pm: 21 houses of Rohingya and a mosque were burn down Apaukwa village. Second term attacked by Rakhines burnt down another 25 Rohingya houses adding number total 46 houses. 16:00pm: A group of Rakhines attempted to set fire in Fishing village (Zaila-fara) but it was stopped by villagers. In the event, a father and son were betan to dead by Rakhines. Soon after military forces were arrived to control and drove Rakhines people away. Rohingya from Kyauktaw town confirmed one Rohingya died and several got injuries in the event. A few hours later, Rakhines started setting fires at huts in Rohingya own farming lands. About 22 huts including crops, barns, haystacks were burnt down. 14 June: Security forces suggest the Rohingya villagers to leave with empty hands from their homes in good times. 11 June: Selling foods, oil and supplying any kind of aid are banned for Rohingyans while Curfew is imposed only in their villages. 9 June: Curfew imposed on the Rohingya villagers, asking to stop going out of villages and even from the houses. 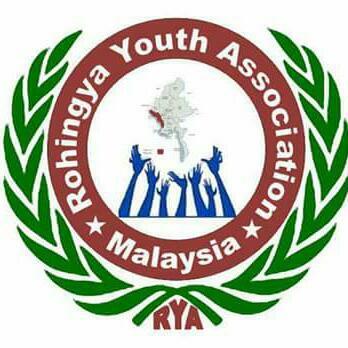 Dozen of Rohingya youths taken by authority are gone to unknown. 19 JuneAfternoon: Mv Sayed Kassim who reside in Sydney of Australia confirms that his village, Sara-parang (Kraro-kondan) village consisting about 120 Rohingya houses were burnt down by Rakhines. This village is situated among 24 Rakhine villages and this is the 4th time attack by all Rakhines from 24 Rakhine villages. 35 Rohingya villagers including women and children were died. Despite Rohingyan villagers had reported to military whenever Rakhine people approaches and agreed to offer payment for military guards, the military had not provided protection for them. Morning: Approximately 1000 Extremist Rakhines with fire arms attacked Rohingya village of Anuak Pran by the help of in-charge Police of Kodaung. 60 out of 500 Rohingya houses were burnt down and 8 Rohingyas shot dead. 3 to 5 Rakhines were also died and wounded a few after Rohingya vilalgers reisted against them. A Platoon of Army watched the scene from out side the village. Finally, the army entered to control the situation. The villagers are very worrying for attacks at night. 14 June, Early morning: Mv Sayed kasim from Rathedaung township who reside in Australia, confirmed that at least 700 people were killed in his hometown today on 14 June. 13 June, Evening: Over 1000 Rakhine were gathered yesterday evening and torched many Rohingya villages jointly with police and Hlun Tin. Numbers of Dead were unknown. From the beginning, a few villages in Rathedaung were set fire, while the rests are in serious fears. 3) Pauktaw township: Rohingya village, has been surrounded by Rakhine people from 9 June. 21:00pm of 11 June: Burning of Rohingya houses in Pauktaw Town. Mrauk-U township: Rohingya villages are under-way to be attacked, while dozens of Rohingyas arrested by the Rakhine were taken into missing. 5) Buthidaung township: Rohingya villages are under highly alert, while the authorities are seizing all kinds of metal knives and etc. 22:00pm of 11 June: Police forces shot a Rohingya (Noor Alam) who live in Maraung Village of Buthidaung Town. 22:15pm of 11 June: about 500 Rakhine brought from Taunggote were arrived in Buthidaung. Evening of 14 June: Rakhines alert to begin in Buthidaung from tonight. Morning of 14 June: A Rohingya Ko Soe Myint, senior staff of UNHCR senior staff of UNHCR was arrested and beaten by authority. Many other Rohingya who worked for UN organizations in Maungdaw and Buthidaung are also gone to missing. 16 June: Rakhines rounded up by Aung Dine village and Sakyar village. Rohingya people from Min Bya town are worrying and do not know what time Rakhine will set fire their villages. This information is confirmed and received it it our contact in Rangoon just now. 12:30pm of 10 June: Mr Hashim from Rambre and residing in Australia confirms that all Rohingyans plus other muslims houses in a village were set fire where Rohingya population is less than 10% there. It's a serious crimes carry out against Rohingya in inside Arakan state that ignited from unrelated a Rakhine girl (Ma Thida Thwey) dead in her own Rakhine village of Tha-bray-chaung ward of Kyauknimaw village on 28 May 2012. Relating to this, Rakhine members of "Wanthanu Rakheta Association" distributed leaflets of blaming muslim on the day of 3 June early morning in Taungup township. It is just an excuse of racial instigation while Rohingya people are not allowed to enter or cross into Rakhine villages. Following this, ten Muslim pilgrims killed in a mob attacks by 300 Rakhines in Taungup township on the same day. Since Gwa, Taungup, Tandwe and Ponnagyuan townships defined as muslim-free-zones within Arakan state from year 1983, there were several hundreds of Rohingyans were killed in similar way in these regions and such crime will be continued to carry until the government implemented such draconian act. This is a certain consequence in Rohingya history again very soon after Rakhine rebel group- "Arakan Liberation Party-ALP" entered into Arakan state. We don't know the secrecy of what type of promise established between Rakhine rebel-ALP and the government. Either, about the India's oil exploration future projects in Arakan region. Historically, such cleansing pogroms were took place against Rohingya in years 1942, 1949, 167/68, 1978 and later of 1991. This time it's well organized that Rakhine people received direct supports from the government armed forces. While international media are unable to reach into the areas where violences are carried out by terrorist Rakhines jointly with security forces, the local Burmese news groups are prepared to take video shooting of the dead bodies of Rohingyans by dressing-up with yellow-robes of monk, putting guns on captive Rohingyans and misinforming to the world. Including Yangon Press International, VOA , RFA and other anti-Rohingya news agencies release fabricated news from the beginning.However, the nature of Burmese officials and Burmese news is well known to the world. And intl media reports must represent the victims rather than who are historically tyrants..
Rohingya people occasionally face intolerable violences are also part of Arakanese Rohingya are strucked from citizenship right under 1982 new citizenship law affected on the changes of Rakhine state from Arakan state in 1974.
International communities including the world leaders need to enhance the Burmese government to urgently halt on going brutal attacks against defenceless unarmed Rohingya, to take action against those committed crimes and to restore Law and Order and the equal rights of native Rohingya people including their citizenship right.